Every year Killer Nashville receives hundreds of submissions for our Killer Nashville Silver Falchion Awards for best books of the previous year. It will take three rounds of judging by industry professionals, peers and to determine the winner(s). 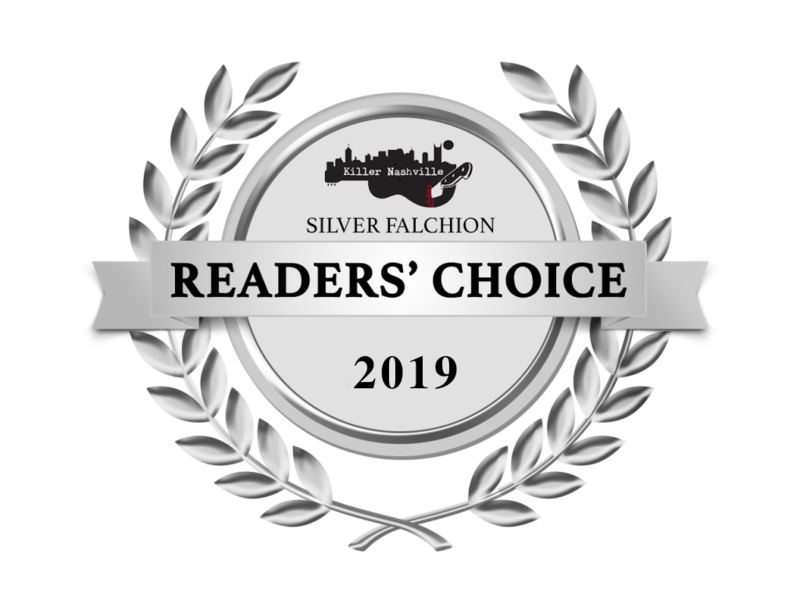 However, the Killer Nashville Silver Falchion READERS’ CHOICE Award is different. This is your chance to vote for your favorites! New titles are added daily – so check back often. You may vote for titles in more than one genre, but you may not vote for the same title more than once. Multiple votes for the same title from the same IP address will not be counted. Spread the word and encourage other fans to vote! The winner will be announced at the Killer Nashville International Awards Dinner. The 2019 Readers’ Choice Award competition will open for voting June 1, 2019.